Here you'll find answers to common questions our clients ask. Start by selecting one of the links below. If you don’t see what you need: ask us a question. Absolutely! We take very seriously our role in preserving the environment and integrate numerous green practices into our daily operations. In addition to energy-efficient equipment and chemical-free technologies, we can print jobs using recycled paper stock [FSC], some of which can be 100% Post-Consumer Waste. 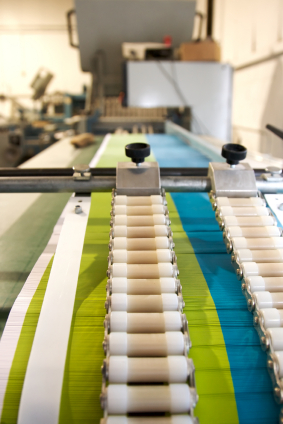 We use vegetable base and UV inks and no to low VOC chemicals throughout our facilities. We also recycle all of our waste and spoilage to minimize our impact on the environment. We know that you you will be pleased with the results and feel good about helping the environment, too. Yes. We offer storage of most products. In some cases, minimum quantities may apply. Well, since you are here, we would suggest you use our online estimate request form. Otherwise, the best way to ensure that we get all the information necessary to do an accurate quote is to give us a call and talk with one of our sales or customer service representatives. Adobe Creative Suite and Quark have a collect for output option which make them print ready and acceptable for us to print. You may also output as a Press Optimized PDF if you have Adobe Acrobat. • When in doubt, ask us! We accept cash, company checks and all major credit cards. We can also set up a business account for you, just contact us for details. Coated paper stock is a premium, high-quality paper that has been given a smooth glossy finish designed specifically for documents that require sharp details and vivid colors. Uncoated paper, by contrast, is relatively inexpensive but porous, and is best suited to the printing of black and white text documents. 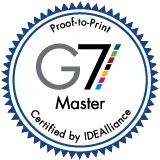 However, with our eight color perfecting press that utilizes H-UV inks, we can now offer vibrant full color reproduction. Whereas before, it required an expensive, pretreated paper stock to control dot gain and boost vibrancy, we can now achieve this on the most economical uncoated stock. And then there is the whole issue of monitor calibration. If you have never done this, or don't remember the last time you did, you probably need to calibrate your monitor.